This is issue no. 96 of 180. Last letter saw a 40.08% open rate with 8.98% going to this article the unbundling of FedEx and UPS. BRAND: Previous CircleUp25 winners include runaway successes like Dollar Shave Club, which just sealed its $1 billion price tag; Stumptown, who’s delicious craft coffee has since been acquired by Peet’s; and cult favorites such as SoulCycle, Everlane, Sweetgreen, Barry’s Bootcamp and more. 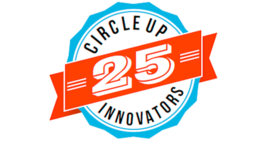 For the fourth consecutive year, CircleUp scoured the country to identify and celebrate the 25 most innovative brands of the year. The winners are going against the grain. ECOMMERCE: Nike is undergoing a fundamental shift in the way it serves customers, which could have huge ramifications for its bottom-line. It is shifting to focus primarily on serving athletes on a 1:1 scale and promises to do so through the introduction of a brand new Nike+ mobile application. There is a clear understanding that consumers will increasingly use their phones to purchase shoes and apparel. Nike needs to excel in digital to maintain its market dominance. COMMERCE: Though mobile is a major component of many different parts of the shopping journey, it’s also a link to the tablet, desktop or wearable experience. Bronto’s recent survey shows the average US adult owns 2.9 devices and they use 1.9 devices for shopping and 1.8 for purchasing. Criteo’s data also highlights this trend in Q4 2015, showing that nearly 40 percent of all transactions occurred across multiple devices. If retailers don’t provide a great experience for the mobile consumers in this part of the journey. ECOMMERCE: To date, 39 US-based private companies with $5M or more in funding are following the same basic business models for delivering either prepared meals or ingredients for meals. 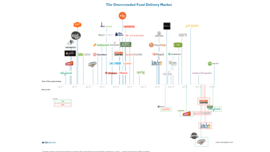 We plotted each of these companies’ first funding round on a timeline, starting in 2011 with companies like Postmates and Gobble and ending with Shipt, which raised a $20.1M Series A financing in July 2016 from Greycroft Partners and others. The heaviest flurry of first fundings started in late 2012 and lasted through 2013. ECOMMERCE: Amazon debuted in Japan in 2000 as the company’s first website in Asia, and now offers Prime members in the country video, same-day shipping and other add-on services for an annual fee. While the Seattle-based company doesn’t break out sales in Japan, international revenue made up 33% of the total last year. 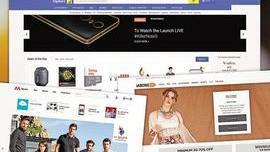 A key priority for Amazon in the region now is India, where the company recently introduced its Prime program and is going up against homegrown web retailer Flipkart Ltd., No. 76 in the 2016 Asia 500. ECOMMERCE: There is almost certainly merit to investing in both digital advertising and SEO, but these are not the only ways to grow an ecommerce business. Try playing the contrarian as you consider how your business invests in marketing. A contrarian is a person who rejects or opposes popular positions. In our context, this implies that you don’t like or want to use SEO or digital advertising. So as you plan for the rest of 2016 and beyond, ask yourself how you would improve your business without these. Here are some suggestions to guide your thoughts. ECOMMERCE: What Flipkart has on hand right now is a bigger battle actually. As serendipity would have it, Amazon unleashed Amazon Prime in India with no-price-cap free delivery in over a 100 cities on the same day that Flipkart announced its acquisition of Jabong. 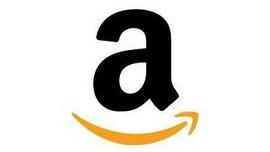 Amazon Prime has been a killer app for Amazon in the US and a few other markets. Though it remains to be seen how Prime will fare in India, until now this is the howitzer missile Amazon has used to move its customers beyond electronics and gadgets to make buying on Amazon a daily habit. ADTECH: “We’re in a cycle where marketers are more likely to double down on what’s working,” said Adam Berke, president and chief marketing officer of the ad-tech firm AdRoll. Marketers are less likely to direct more dollars Twitter’s way and still don’t see Snapchat as a legitimate option. Their thinking goes: “‘I’ve got search and Facebook, and as long as I reach [return on investment goals], it’s still good,’” he added. 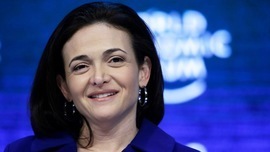 Facebook’s grip on the digital ad market has grown as its competitors weaken. MEDIA: Will Porteous, general partner at RRE, said the fact that The Outline isn’t treating digital advertising as an afterthought “is refreshing.” “It’s really a recognition that quality ads haven’t been core or a fundamental part of many digital media businesses,” he said. 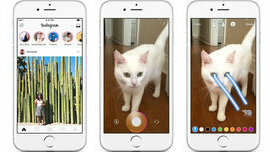 Mr. Porteous said he likes that Mr. Topolsky was going against the grain in not emphasizing volume and trying to build a massive audience quickly--and praised The Outline for being data-driven in its approach. When I started the Two PM Links daily letter, it was for a small group of friends whose careers were tangential to: eCommerce, media, ad tech, fintech, data insights, and branding. These days, that few is well, more than I expected. I wanted a publication source to help me understand the relationships between the above sectors. And I wanted that source to be a daily reminder to learn. One of my goals was to provide a place that was without sensationalism, politics, or too much prose. Overall, just a great place to learn. 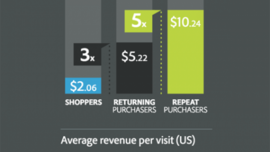 So with that, here are nine eCommerce insights that you may find interesting. Almost half (49%) of eCommerce consumers expect a page to load in 2 seconds or less. Only 51% would "wait patiently." Down from 63% five years ago. Nearly 1 in 5 consumers expect pages to load instantly. Japan leads the way with 34% of Japanese consumers expecting instant loads (.2 seconds or faster). In the United States, 18% of us expect instant loads. 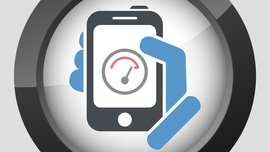 The number of consumers making purchases on mobile has jumped 2.5x in the past five years. Mobile traffic with "intent to purchase" passed 50% of all eCommerce traffic, for the first time in February 2016. Mobile remains the least satisfying eCommerce experience but responsive web design is helping. Additionally, Amazon has cracked the code for a better experience (native, one click payments). The Spring app is the first example of China's TMALL.com approach to fashion retail. Mobile and tablet users are the most engaged eCommerce consumers. The majority of searches and comparisons are via mobile device. Consumers on mobile and tablet devices purchase more often than those on desktop. Only 15% percent of desktop only customers purchase more than once per week. Compare that to 35% of mobile users. Mobile and tablet shoppers spend more money than desktop shoppers. Mobile has an average spend of $2,352 versus $1,584 on desktops. 50% of Consumers experience problems during peak traffic. Shopify has helped non-technical online retail owners to avoid server crashes. Unhappy shoppers abandon websites and they won't return. 22% will not return to a website where problems have concurred and 45% are less likely to return. Thank you for responding to my recent ask to pass along 2PML to an industry colleague. The letter saw the biggest one-day jump in subscribers since letter #1! I will continue to provide value and unlocked subscriber content from the best sources in media.